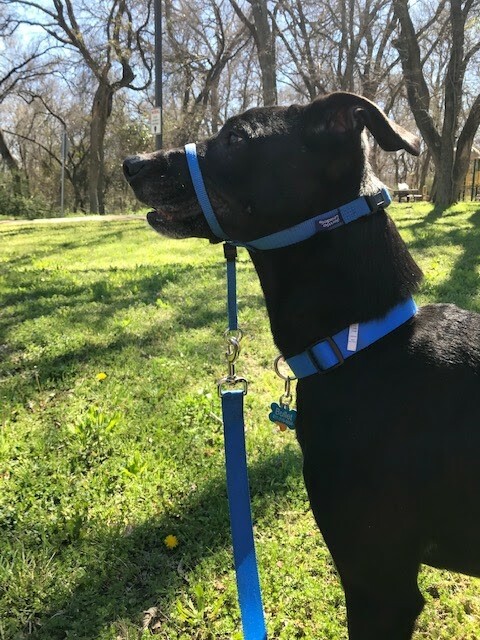 Spring time is my favorite time of the year, the Texas weather is perfect, spring sports start back up and we find ourselves spending a lot more time outside! We are a very active family, and our dogs are as well! 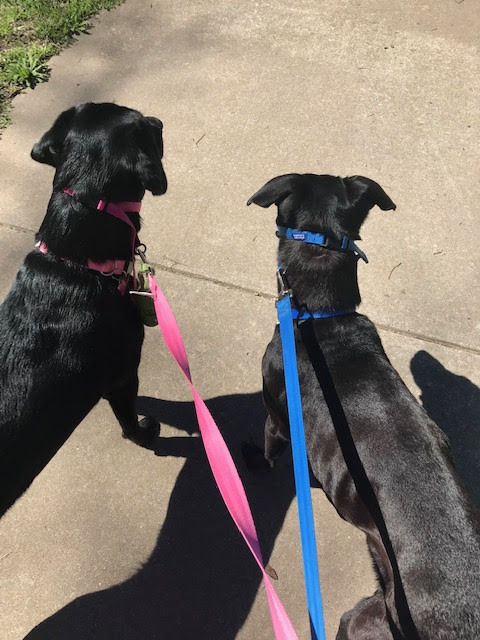 From hanging out at the local park, to picking up the kids from school and even grabbing cool sweets - our dogs love tagging along on family outings! Caring for pets is a great responsibility, and thankfully my children are old enough that they enjoy helping out and caring for our dogs. 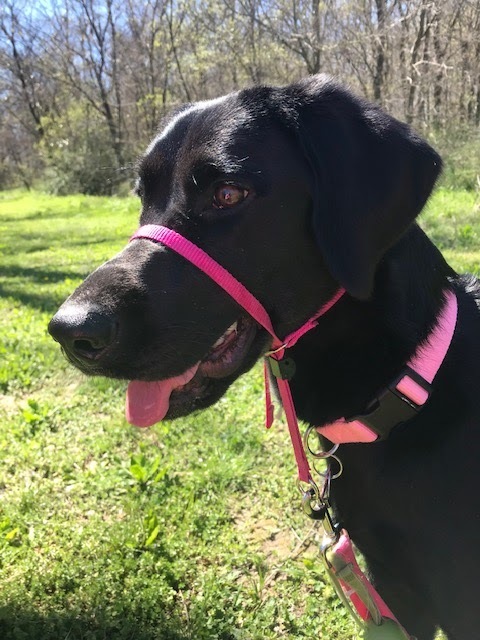 My children love helping me pick out the best squeaky toys, they play with the dogs and even assist in feeding them - it takes the entire family to to keep our dogs happy and healthy. Lots of love - Dogs may not speak our language, but no words are needed to show your dog affection and love. Talk to your dog, tell them you love them, and give your dog lots of belly rubs, paw shakes and ear rubs - dogs love affection and positive reinforcements. Routine care - It's important that dogs receive routine care, as their care providers, it's up to us to make sure they get frequent check ups at the vet, stay current on their vaccinations as well as groomed and bathed often. Provide proper shelter - Whether your pup is an indoor or outdoor dog, it's important that they have proper shelter. If they are outside, they should have a weather proof dog house or a place to shelter if needed. An indoor crate or kennel with a bed or mat is great to have indoors - this can be used as a safe place for your dog to lay down and relax or even sleep in while your away at work, etc. 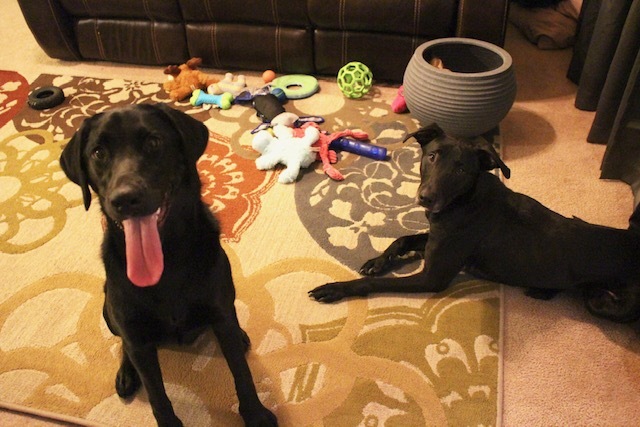 Exercise and play - Dogs love to go on walks and most love to play with toys (especially ones that squeak). Our dogs enjoy taking long walks through the park together but also enjoy playing tug a war with each other and fighting over the stuffed moose. We have a hug bin full of a variety of toys and after knocking it over - they still like to play with their favorites. Dogs are a lot like humans, we need daily exercise and they need it to - plus they will sleep better at night! Nutritional needs - Along with having access to water, it's important that what I'm feeding my dogs is meeting their nutritional needs. I'm proud to feed my dogs Purina® Pro Plan® SAVOR® Shredded Blend Adult Dog Food – Chicken & Rice. Purina® products are backed by 85+ years of Purina® research from 500+ scientists globally. For more details, visit Purina.com. Purina® provides advanced nutrition with great-tasting formulas to deliver a sensational mealtime experience. They offer 14 dry formulas with guaranteed live probiotics to support your dog’s digestive health. 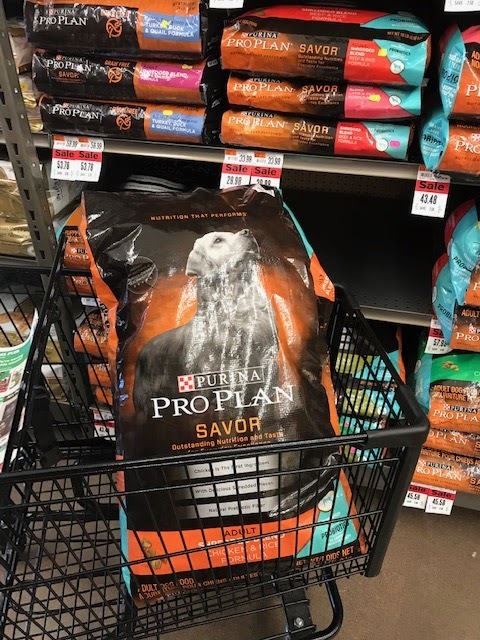 Thankfully I can purchase Purina® Pro Plan® SAVOR® Probiotics Products at our local Pet Supplies Plus, I picked up a bag of Purina® Pro Plan® SAVOR® Shredded Blend Adult Dog Food - Chicken & Rice for my dogs and saved $7.50! 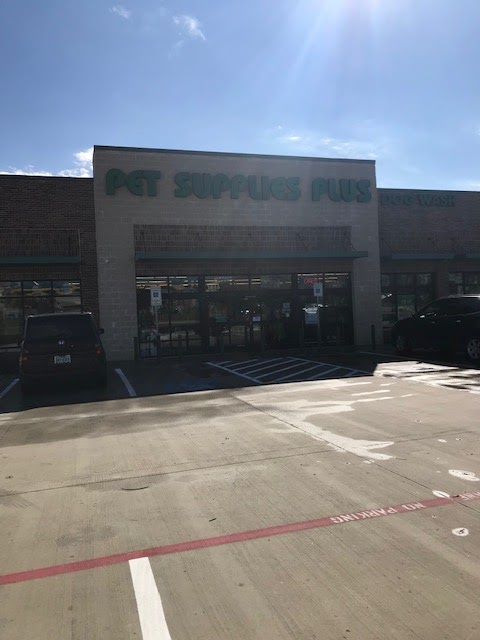 We love shopping at Pet Supplies Plus! 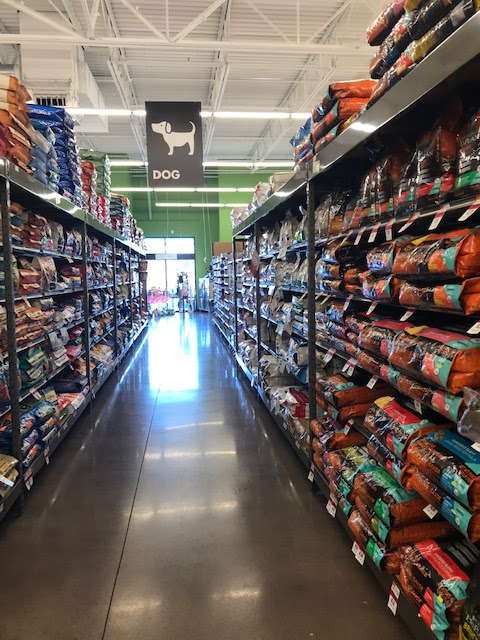 I love how clean and organized the store is and it's always so easy to find exactly what we need, plus the customer service is amazing - they offered to carry our dog food out to the car for us! I also love that our location has a self-service pet wash station - my dogs love the water and love bath time even more! Did you know Probiotics aren't just for humans?! Probiotics are live microorganisms that, when consumed in adequate amounts, have a health benefit to your pet. So how can your pet benefit from priobiotics? The probiotics in select dry Pro Plan® Savor® formulas can exert a positive impact on digestive health by balancing the levels of bacteria in your pet’s intestines. So what do you think? How do you keep your dog happy and healthy? 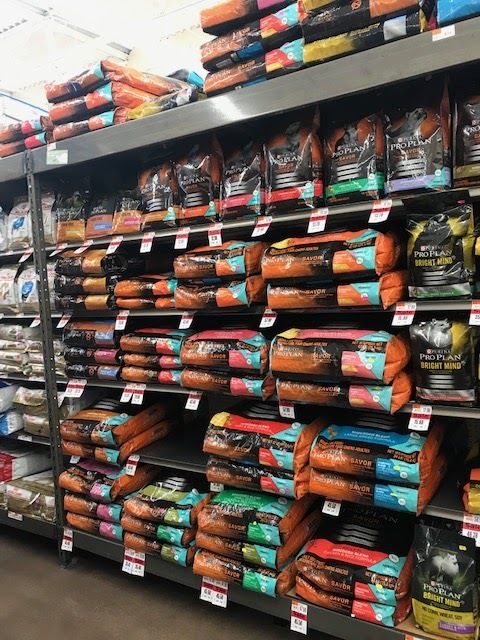 Do you have a Pet Supplies Plus near you?